Excerpts from testimony at June 23, 2011 hearing on LightSquared/GPS, House Transportation and Infrastructure subcommittees on aviation and Coast Guard and maritime transportation. Because of the thoroughness of the presentation, we are making the statement by Philip Straub, vice-president of aviation engineering for Garmin International, Inc., available in its entirety as a downloadable PDF document. 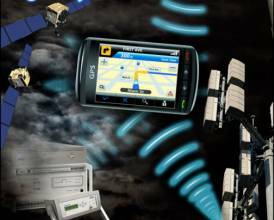 GPS receivers are extremely sensitive to strong signals operating on nearby frequencies. The GPS receivers are “listening” very hard for relatively weak GPS signals, so strong signals overload their capacity to “hear” those signals the same way that standing next to a lawnmower makes it impossible to hear someone whispering in your ear. LightSquared’s proposal essentially is to start a lawnmower in a library. My testimony today will summarize the findings of a study conducted by RTCA on the impact of the proposed LightSquared terrestrial wireless broadband network on GPS receivers onboard aircraft. The RTCA report identified specific adverse effects on the use of GPS in aviation. The study concludes that all three spectrum deployment phases . . . for the planned LightSquared terrestrial are incompatible with the current aviation use of GPS. However, use of a single 5 MHz lower channel could allow the LightSquared system to co-exist with aviation’s use of GPS. Airborne GPS receiver mitigations were also explored in the report, but the findings indicate that the only viable option is through invocation of more stringent performance requirements for the GPS antenna/receiver combination that would require the manufacturers to optimally layer filtering throughout the receiver front-end. This approach would take many years to get installed on the entire fleet of aircraft, since it would require new standards to be developed, new TSOs to be issued by the FAA, new receivers to be built and certified to the new standard, and finally installed within the fleet of aircraft that operate within U.S. airspace. This would be extremely disruptive to NextGen implementation, since it would cost billions of dollars and likely 7-10 years to retrofit the aircraft fleet after several additional years to develop new standards. [P]ublicly available reports have concluded that LightSquared’s planned deployment would cause interference with a broad range of different types of GPS receivers, because the planned deployment would have started close to the GPS band. They also show, however, that our operation in the lower part of the band does not cause interference for the vast majority of GPS receivers. We believe that of the 400-500 million GPS receivers in use today in the United States, less than one percent are susceptible to harmful interference from our lower channel operations. [W]e are proposing a three-part solution. • First, LightSquared will operate at lower power than permitted by its existing FCC authorization, voluntarily relinquishing the right to operate at power levels approved in early 2010. • Second, LightSquared will agree to a standstill in the terrestrial use of its upper 10 MHz immediately adjacent to the GPS band and will not incorporate those frequencies into its terrestrial network until the FCC and NTIA are satisfied that this can be done without risk to GPS. This additional time can be used to determine a glide path for use of this spectrum. • Third, LightSquared will commence terrestrial commercial operations only on those portions of its spectrum that pose no risk to the vast majority of GPS users and will coordinate and share the cost of underwriting a workable solution for the relatively small number of legacy precision measurement devices that may be at risk. In addition and contrary to the claims of some of the GPS manufacturers, there are technical and operational solutions that are available to allow us to deploy our network while retaining the benefits provided by these high-precision GPS devices. For example, LightSquared can coordinate its rollout so high-precision agricultural receivers will not be near LightSquared base stations for several years. Additionally and as part of our overall mitigation proposal I’ve already discussed, for those uses in urban areas that may be affected sooner, LightSquared can work out coordination of operations and spot replacement of high-precision and network receivers. LightSquared is prepared to underwrite the development of filtering technology for new receivers that can then be used consistently with the placement of our network. LightSquared will also work with Inmarsat to find a place in our band where the augmentation signal for high-precision and network receivers can be placed over the long term, isolated from terrestrial operations and where they can have a much higher certainty for their ongoing operations than they do today. Statements suggesting “everyone knew what was being planned” are absurd on their face. And, suggesting fixes on an ad hoc basis while providing regulatory approvals to march forward gives our community real concern with regard to whether the full implications of the actions already taken are understood by the agency granting the waivers. Frankly, there is far too much at stake to simply hope the FCC can sort out the facts on its own. While some have begun to suggest “fixes” that include narrowing the bandwidth used by LightSquared and adding filters to GPS receivers, there is absolutely no evidence that these actions would effectively safeguard the GPS system at a time when reliance on that system is rapidly increasing. I want to emphasize at the outset that while the U.S. airline industry supports public- and private-sector efforts to expand wireless broadband service across the country, we strongly oppose any proposed service that would compromise the integrity of the nation’s Global Positioning System (GPS). Given that nearly 6,000 commercial aircraft and tens of thousands of business and general aviation aircraft are GPS-equipped, the continued unimpeded use of GPS is indispensable to the future of aviation. The bottom line is that the U.S. airline industry and other GPS users did not cause this interference problem. We have relied on long-standing U.S. government policy and international standards in the development and implementation of GPS equipment. If the FCC is determined to allow LightSquared to launch its wireless broadband network, the agency should find alternative spectrum that will not compromise the GPS network. 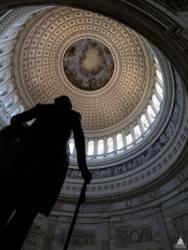 Congress should ensure that there is no interference with GPS from wireless broadband deployment. America’s greatest inventor, Thomas Edison, famously tested and rejected thousands of potential filaments before finding one that made the light bulb work. In the same vein, we have now tested one proposal from LightSquared, and found that it did not work as originally hoped. But there are alternatives and potential mitigations that may be worth exploring. The Department of Transportation would like to work towards a “win‐win” — if one exists — that allows for increased broadband access, without disrupting existing and planned GPS‐based services, such as NextGen. Any alternative must be robustly tested, as was the original plan. It is critical to define the operational, safety, and economic impacts to all known applications and user communities. The Department of Transportation is responsible to represent the interests of other civilian federal agencies as well as our own. There are many applications, including scientific and space, precision agriculture, mapping and surveying, which require access to both GPS and MSS signals. Billions of dollars of public and private funds have been invested in these sectors. Their challenges may be the most difficult to resolve. The Department of Transportation will look for solutions to their challenges, as well as our own, in interagency discussions. The review of LightSquared’s proposal, and other incidents, such as the truck with a GPS jammer affecting operations at Newark Airport last year, remind us of how vulnerable GPS can be to interference. Going forward, as the FAA and the aviation industry continue to invest billions of dollars in NextGen, Deputy Secretary Porcari has committed the Department of Transportation to work with other federal agencies to ensure that we have a plan in place to ensure that the GPS systems in development now will not be compromised by interference in the years to come. GPS is vital to national security and is relied upon by our service-men and –women for a wide array of capabilities. Simply put, GPS is integrated into almost every aspect of U.S. military operations. To provide but a few examples, GPS signals are used to ensure the accuracy of precision-guided munitions, to guide troop movements, to synchronize communications networks, to enable battle-space situational awareness and to conduct search and rescue operations. Prior to the January 26, 2011 Federal Communications Commission (FCC) order that granted LightSquared a conditional waiver for its terrestrial network, the National Telecommunications and Information Administration (NTIA) Administrator in a letter to the FCC Chairman on January 12, 2011, and the Deputy Secretary of Defense in a similar letter on that same date, raised concerns regarding the potential interference effects to GPS presented by the LightSquared terrestrial only service. To that end, the Deputy Secretary strongly recommended deferral of final action on this ruling until the proper interference analysis and mitigation studies could be conducted based on the new business model. DoD will remain an active participant in the process to find appropriate solutions for LightSquared without undue interference to GPS receivers, or other military spectrum requirements. However, the ability of GPS to operate without harmful interference remains of paramount importance to the Department. Although test results are still preliminary, and the testing was conducted at power levels below those as which LightSquared is authorized to operate, the Coast Guard Believes that without mitigation, there could be adverse affects [sic] on its surface operations in coastal and inland waterways in the vicinity of LightSquared transmission sites, and on its aviation operations in areas surrounding the LightSquared towers. In fact, Coast Guard missions are just a portion of the many DHS operations and regulated activities that rely on GPS and oculd be affected.